Astro-Vision SoulMate 8.8 Sinhala Horoscope Matching Software is the trusted Sinhala Horoscope matching software for over two decades and is used by marriage bureaus, astrology centres and astrologers in Sri Lanka and abroad. 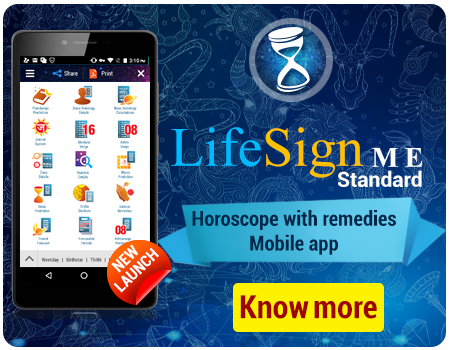 Astro-Vision SoulMate 8.8 Sinhala Horoscope Matching Software has accurate astrological calculations and also provides a variety of customisable options for performing astrological calculations. 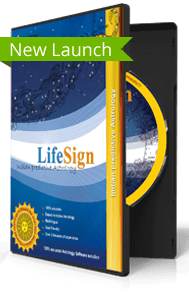 Over two decades of experience in this field has helped us provide a thoroughly researched Sinhala Horoscope Matching Software. Astro-Vision SoulMate 8.8 Sinhala Horoscope Matching Software is ideal for Marriage Bureaus, Astrology Centres and Astrologers. The Sinhala Horoscope Matching Software gives you the option to take print outs of the report to deliver to your customers. The reports can be generated in two ways - a summary report and a detailed report, which means you can deliver them at different prices. You also have the choice of preparing the report in Sinhalese or English. Astro-Vision SoulMate 8.8 Sinhala Horoscope Matching Marriage Software also provides you a choice of chart formats, like, Sri Lankan, South Indian, Kerala, etc. This means you can generate Horoscope Matching reports from the Sinhala Horoscope matching Software according to the individual requirement of your customers. You can also select the regional preferences based on which a match is made. The minimum check performed is the star compatibility check or Gun Milan Check. Other optional checks include Kuja Dosha Check or Manglik check, Papa Samyam Check and Dasa Sandhi Check. These optional checks can be enabled or disabled according to your customer’s preference. 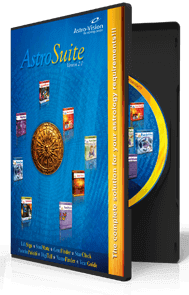 Astro-Vision SoulMate 8.8 Sinhala Horoscope Matching Marriage Software provides various ayanamsa settings such as Chitra Paksha ayanamsa or Lahiri ayanamsa, Raman ayanamsa and Krishnamurthy ayanamsa. You can save the details of the prospective bride and groom for future reference in our Sinhala Horoscope Matching Software. You can save the name, date of birth, birth star, planetary positions and dasa balance details. Thus you can build a database of profiles. 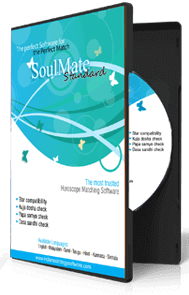 Astro-Vision SoulMate 8.8 Sinhala match-making Software performs horoscope matching of two individuals based on a number of factors. The minimum horoscope match check done is Star compatibility or nakshatra compatibility. Star Check or Nakshatra Compatibility check is used for calculating the compatibility between birth stars. There are various options for calculating the compatibility. Although the basic principles of judging compatibility are the same, there are variations in the standards applied in different places. Different methods are provided to suit regional practices. Astro-Vision SoulMate 8.8 Sinhala match making Software also checks for dasa sandhi as an optional feature. The period between dasa changes, is considered a very difficult period for any individual. If the dasa changes for the girl as well as the boy take place within a short span, it is believed to make life tough for the married couple and therefore such a match is not recommended. Astro-Vision SoulMate 8.8 Sinhala match making Software has the provision for performing a Kuja dosha Check. Kuja dosha is determined based on the position of Kuja in a horoscope and in certain positions it is considered to adversely affect the longevity of the partner. This dosha is believed to be reduced and sometimes even eliminated by the presence of similar dosha in the horoscope of the other partner. Within the Kuja dosha Check, a Strict Kuja dosha Check is also available. Astro-Vision SoulMate 8.8 Sinhala match making Software also checks for papa matching between the horoscopes. The total Papa (Dosha) in a horoscope is calculated by assigning papa points for different planetary positions in the horoscope. The total papa points in the boy's horoscope should ideally be the same or marginally higher than that of the girl for a good horoscope match. ඇස්ට්රො-විෂන් සෝල්මේට් 8.8 සිංහල ජන්මපත්ර ගැළපීමේ මෘදුකාංගය, විසි වසරකට අධික කාලයක් තිස්සේ භාවිතා වන විශ්වාසනීය සිංහල ජන්මපත්ර ගැළපීමේ මෘදුකාංගය වන අතර එය ශ්රී ලංකාවේ මෙන්ම විදේශ වලද, විවාහ මංගල ආයතන, ජ්යෝතිෂ ආයතන සහ ජ්යෝතිෂවේදීන් විසින් භාවිතා කරනු ලබයි. ඇස්ට්රො-විෂන් සෝල්මේට් 8.8 සිංහල ජන්මපත්ර ගැළපීමේ මෘදුකාංගයේ ඉතා නිරවද්ය නක්ෂත්ර ගණනය කිරීම් ඇතුලත් වන අතර නක්ෂත්ර ගණනය කිරීම් සිදුකිරීම සඳහා කැමති ලෙස සකසා ගත හැකි විකල්ප රාශියක්ද ඇතුලත් වේ. විසි වසරකට අධික මෙම ක්ෂේත්රයේ අප සතු අත්දැකීම්, මුළුමනින්ම පර්යේෂණය කළ සිංහල ජන්මපත්ර ගැළපීමේ මෘදුකාංගයක් සැපයීමට අපට සහය විය. ඇස්ට්රො-විෂන් සෝල්මේට් 8.8 සිංහල ජන්මපත්ර ගැළපීමේ මෘදුකාංගය විවාහ මංගල ආයතන, ජ්යෝතිෂ ආයතන සහ ජ්යෝතිෂවේදීන් සඳහා වඩාත් හොඳින් ගැළපෙයි. සිංහල ජන්මපත්ර ගැළපීමේ මෘදුකාංගය මඟින්, ඔබේ ගණුදෙනුකරුවන්ට ලබාදීම සඳහා ජන්මපත්ර ගැළපීමේ වාර්තා මුද්රණය කරගැනීමේ පහසුකමද සලසයි. එම වාර්තා, කෙටි සාරාංශගත වාර්තා සහ දිගු විස්තර සහිත වාර්තා ලෙස ආකාර දෙකකින් මුද්රණය කරගත හැක. එනම් ඔබට ඒවා වෙනස් මිළගනන් වලට ඔබේ ගණුදෙනුකරුවන්ට ලබා දිය හැක. එමෙන්ම එම වාර්තා සිංහල හෝ ඉංග්රීසි යන කැමති භාෂාවකින්ද මුද්රණය කරගත හැක. ඇස්ට්රො-විෂන් සෝල්මේට් 8.8 සිංහල ජන්මපත්ර ගැළපීමේ විවාහ මංගල මෘදුකාංගය, ශ්රී ලාංකීය, දකුණු ඉන්දීය, කේරල හෝ වෙනත් විවිධ වගු ක්රම තෝරාගැනීමේ පහසුකම සලසයි. එනම් ඔබට සිංහල ජන්මපත්ර ගැළපීමේ මෘදුකාංගය මඟින් ඔබේ ගණුදෙනුකරුවන්ගේ අනන්ය අවශ්යතාවයන්ට ගැළපෙන පරිදි ජන්මපත්ර ගැළපීමේ වාර්තා පිළියෙළ කරගත හැක. එමෙන්ම විවිධ කලාපයන්ට අනන්ය වූ ගැළපීම් තේරීමේ ක්රමද තෝරාගත හැක. ගැළපීම් තේරීමේ අවම පරීක්ෂාව වන්නේ ග්රහතාරකා ගැළපීම හෝ ගන් මිලන් පරීක්ෂාවයි. තෝරාගත හැකි වෙනත් ගැළපීමේ ක්රම වන්නේ කුජ දෝෂ පරීක්ෂාව හෝ මංගලික පරීක්ෂාව, පප සම්යම් පරීක්ෂාව සහ දස සන්ධි පරීක්ෂාවයි. ඔබේ ගණුදෙනුකරුවන්ගේ අවශ්යතාවය පරිදි මෙම පරීක්ෂාවන් සිදුකිරීම හෝ නොකිරීම කළ හැක. ඇස්ට්රො-විෂන් සෝල්මේට් 8.8 සිංහල ජන්මපත්ර ගැළපීමේ විවාහ මංගල මෘදුකාංගය මඟින් චිත්ර පක්ෂ ආයානම්ස හෝ ලහිරි ආයානම්ස, රාමන් ආයානම්ස සහ ක්රිෂ්ණමූර්ති ආයානම්ස වැනි විවිධ ආයානම්ස සැකසුම් සපයනු ලබයි. ඔබට අපගේ සිංහල ජන්මපත්ර ගැළපීමේ මෘදුකාංගය තුළ අනාගත මනාලයා සහ මනාලියගේ තොරතුරු අනාගත ප්රයෝජනය සඳහා සුරැකිව තබා ගත හැක. ඔබට නම, උපන් දිනය, උපන් වේලාවේ ග්රහතාරකාව, ග්රහ පිහිටුම සහ දස තුලිතතා විස්තර මෙලෙස සුරැකිය හැක. එනම් ඔබට ඔබේ ගණුදෙනුකරුවන්ගේ දත්ත සමුදායක් සකසා ගත හැක. ඇස්ට්රො-විෂන් සෝල්මේට් 8.8 සිංහල ගැළපීම් සෑදීමේ මෘදුකාංගය සාධක කීපයක් මත පදනම්ව දෙදෙනෙකුගේ ගැළපීම පරීක්ෂා කරයි. අවම ජන්මපත්ර ගැළපීමේ පරීක්ෂාව සිදුකරනු ලබන්නේ ග්රහතාරකා ගැළපීම හෝ නක්ෂත්ර ගැළපීම මඟිනි. ග්රහතාරකා පරීක්ෂාව හෝ නක්ෂත්ර ගැළපීමේ පරීක්ෂාව උපන් වේලාවේ ග්රහතාරකා අතර ගැළපීම ගණනය කිරීම සඳහා යොදා ගනු ලබයි. ගැළපීම පරීක්ෂා කිරීම සඳහා තෝරා ගත හැකි විවිධ විකල්ප ඇත. ගැළපීම නිෂ්චය කිරීමේ මූලික සිද්ධාන්තයන් එලෙසම පැවතුනද නොයෙක් තැන් වලදී යොදා ගනු ලබන විවිධ වූ සම්මතයන් ඇත. කලාපීය වශයෙන් වෙනස් වූ භාවිතයන් සඳහා ගැළපෙන සේ විවිධ ක්රම මේ සඳහා සපයා ඇත. ඇස්ට්රො-විෂන් සෝල්මේට් 8.8 සිංහල ගැළපීම් සැදීමේ මෘදුකාංගය අමතර විශේෂාංගයක් ලෙස දස සන්ධි පරික්ෂාවද සිදු කරනු ලබයි. දස මාරුවීම් අතරතුර කාලයන් පුද්ගලයින්ට ඉතා දුෂ්කර කාලයන් ලෙස සලකනු ලබයි. විවාහ වීමට නියමිත දෙපළගේම දස වෙනස්වීම් කෙටි කාලපරාසයක් තුළ එකවිට සිදුවෙයි නම් ඔවුන්ගේ විවාහ ජීවිතය දුක්කරදර වලින් පිරි එකක් වන බවට විශ්වාසයේ පවතින අතර එමනිසා එවන් ගැළපීම් නිර්දේශ නොකරයි. ඇස්ට්රො-විෂන් සෝල්මේට් 8.8 සිංහල ගැළපීම් සෑදීමේ මෘදුකාංගයේ කුජ දෝෂ පරීක්ෂා කිරීමේ පහසුකමද ඇත. කුජ දෝෂ නිෂ්චය කිරීම ජන්මපත්රයේ කුජ පිහිටීම මත පදනම්ව සිදුකරනු ලබන අතර ඇතැම් අවස්ථා වලදී එය සහකරුගේ හෝ සහකාරියගේ ආයු කාලය කෙටි කිරීම සඳහා බලපාන බවටද සලකනු ලබයි. මෙම දෝෂ අඩු වී යන බවට විශ්වාසයන් පවතින අතර ඇතැම් විට සහකරුගේ හෝ සහකාරියගේ ජන්මපත්රයේද එම දෝෂම තිබීමෙන් ඒවා අවලංගු වී යන බවටද සැලකේ. කුජ දෝෂ පරීක්ෂාව තුළ තද කුජ දෝෂ පරීක්ෂාවක්ද අඩංගු වේ. ඇස්ට්රො-විෂන් සෝල්මේට් 8.8 සිංහල ගැළපීම් සෑදීමේ මෘදුකාංගය ජන්මපත්ර අතර පාප ගැළපීමද පරීක්ෂා කරනු ලබයි. ජන්මපත්රයක ඇති මුළු පාප (දෝෂ) ගණන, ජන්මපත්රයේ ඇති විවිධ ග්රහ පිහිටීම් වලට පාප ලකුණු ලබාදීමෙන් ගණනය කරනු ලබයි. වඩා හොඳ ජන්මපත්ර ගැළපීමක් සඳහා පුරුෂ පාර්ශවයේ ජන්මපත්රයේ පාප ලකුණු ගණන ස්ත්රී පාර්ශවයේ ලකුණු ගණනට හරියටම සමාන වීම හෝ ස්ත්රී පාර්ශවයේ ලකුණු ගණනට වඩා මඳක් වැඩි වීම විය යුතුය.